After dropping 2 decisions to Central Alabama and Southern Union last week, the CVCC Baseball team took 2 of their next 3 conference games versus Wallace State-Selma and Marion Military Institute. 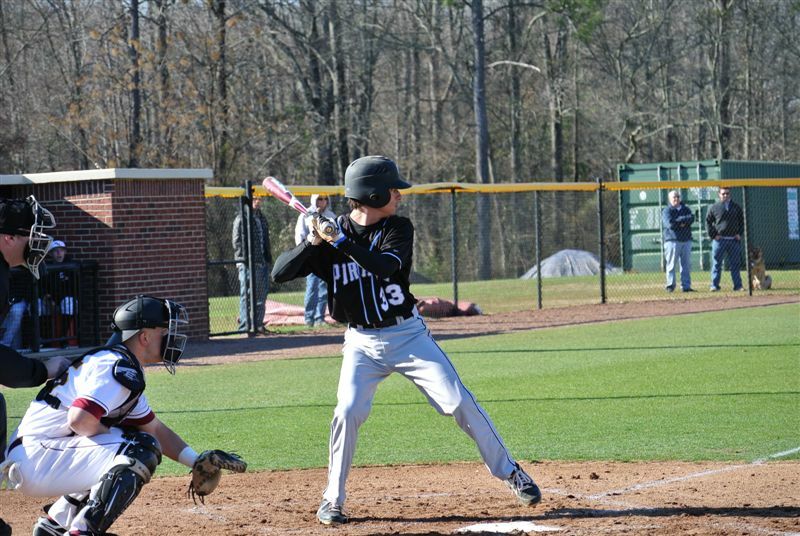 Saturday, the Pirates traveled to Selma, Alabama for a double header against the Patriots of Wallace State. 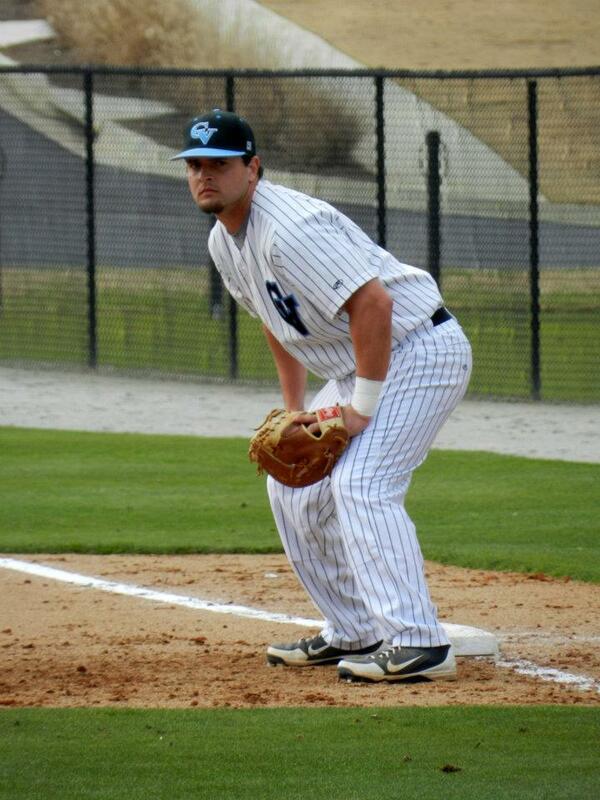 An inspired Wallace State took a come from behind win against CVCC 6-5 in game 1 of the double dip. Stater Mike O’Neal tossed 5 1/3 innings of 5 hit baseball, with the undoing coming from a 2 out flare double and a tough luck triple all leading to 4 runs that should likely never have scored. The Pirates were not without their opportunities, as they had a chance to retake the lead in both the 6th and the 8th innings. Selma capitalized in the bottom half of the 8th, as a leadoff single, followed by a hit by pitch and then a wild pitch led to 2 Patriot runs and a 6-4 lead. CVCC did threaten in their half of the 9th, as Jared Kahn led off with a hit by of his own, stole second, advanced to third on the overthrow and scored on Martin Castro’s RBI groundout. David Levy followed with a single, but the Pirates left him stranded at second to drop the 6-5 decision. Levy contributed another 2 hit, 2 RBI game, while Taylor Hinshaw continued his hot streak with 3 hits, including a double and homerun. 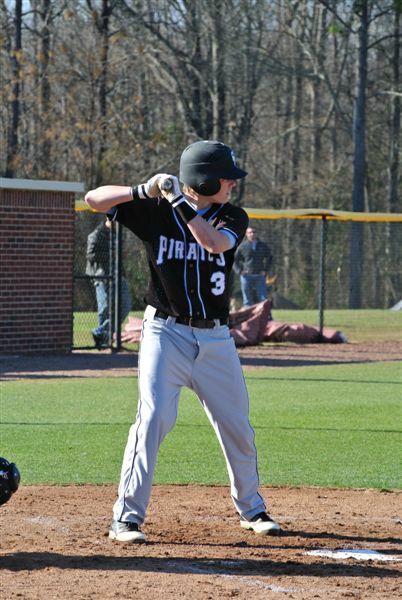 Game 2 saw an angry group of Pirates take control of the game early, while starter Dustin Dunagan gave CVCC just what it needed – a shutdown performance on the mound. 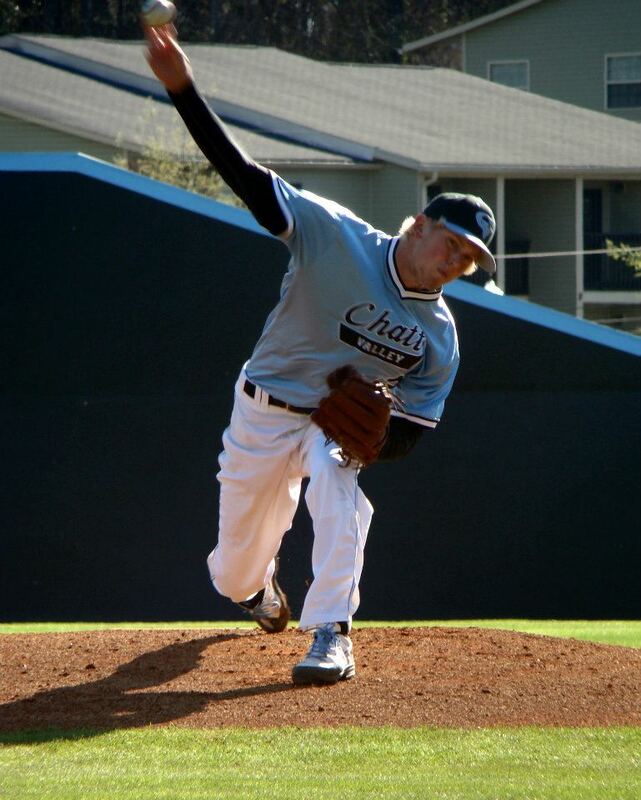 Dunagan tossed 5 innings of 3 hit baseball and allowed only a single run, with 3 of those innings 1-2-3 innings. The Pirates took the early lead in the 2nd of a David Levy 2 RBI single. After giving 1 run back in the 2nd, CVCC exploded for 7 runs in the 3rd inning in which 8 consecutive hitters reached base, highlighted by a Taylor Hinshaw double, Jared Kahn’s RBI triple, and RBI singles by Josh Sanders and Martin Castro. The Pirates added another run in the 6th on Sanders third hit of the day. Matt Vollenweider shut the door in the 6th and 7th, as he punched out 3 of the 6 outs he recorded. The Pirates left Selma at 18-14 overall and 4-5 in ACCC Central Division play with Tuesday’s big matchup with Marion looming. The game didn’t start well for the Pirates, as they fell behind 1-0 early. Starter Clint Spratlin struggled keeping the ball in the strike zone, but still kept the Pirates tied 1-1, after Josh Sanders clutch 2 out RBI single in their half of the second. The fourth inning seemed to be the turning point for both clubs. After what looked like pure disaster, as the Tigers of MMI had scored 3 runs and had the bases loaded with only 1 out and were looking to put the game away, reliever Ben Taylor came on and struck out the final 2 outs to end the Tiger threat and keep the score within reach at 4-1. CVCC struck immediately with a Kendell Brinson double, a Neal Chambless single, and an RBI groundout by JD Perry to cut the lead to 4-2. Taylor tossed a much needed shut down inning to give the Pirates the open door they needed in the comeback. 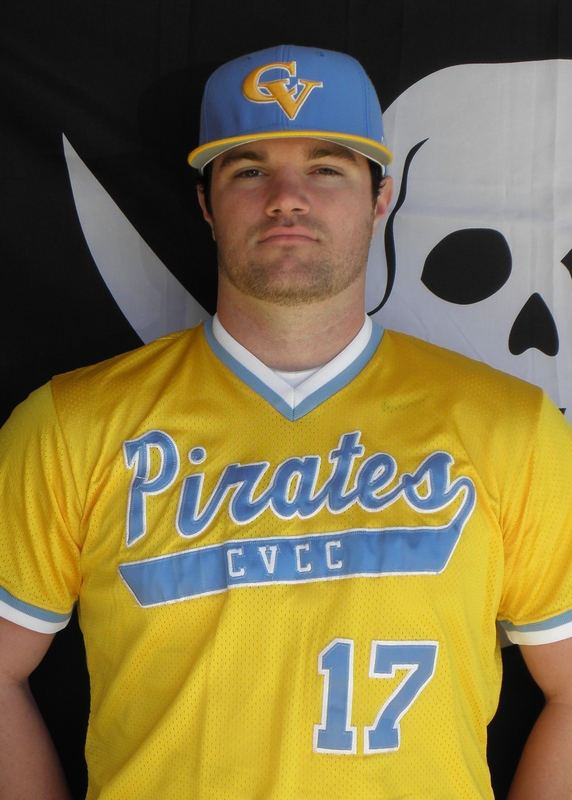 In the CVCC half of the 5th, David Levy led off the inning with a single and the next 6 Pirate hitters reached base, with Taylor Hinshaw’s 2 RBI double being the big blast to tie the score. A walk to Brinson and a basehit bunt by Chambless were followed by a double by Perry, walks to Jared Kahn and Josh Sanders and an RBI ground out by David Levy. 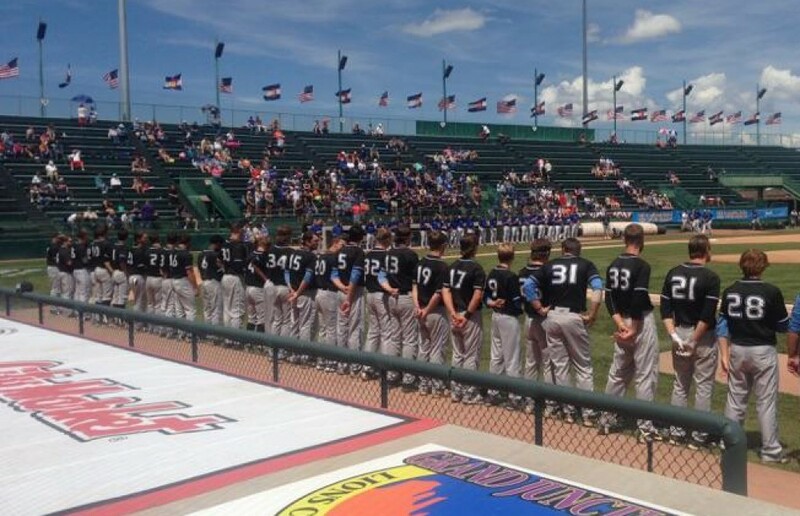 Once the smoke cleared, CVCC had taken an 8-4 lead and never looked back. Zach Helewski came on and absolultely shut the door, tossing the final 4 frames, allowing only a single run, with 4 punchouts, and surrendering only 3 hits. 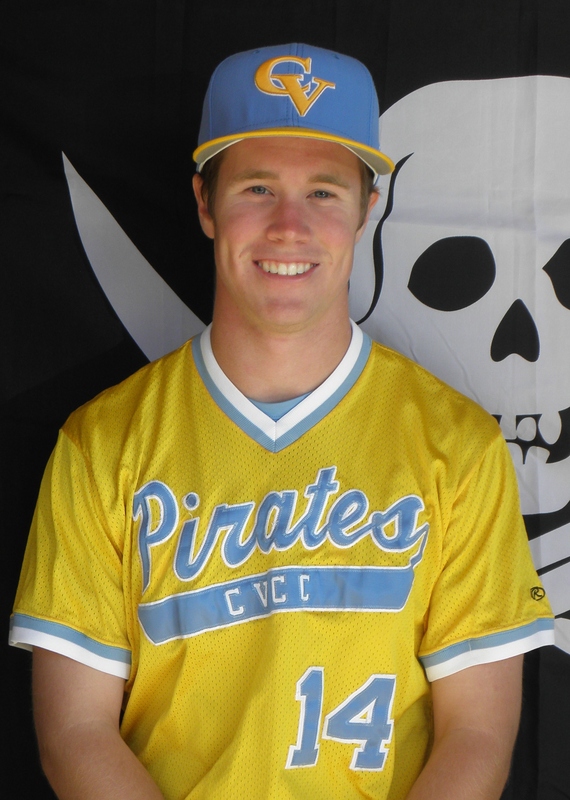 As added insurance, CVCC plated 3 more runs in the 6th on a single by Hinshaw, a double by Brinson, and yet another big RBI single by Josh Sanders to bring the final tally to 11-5 and a much needed conference win by the Pirates. That brings the 2012 record to 19-14 and 5-5 in league play with a big double header with Central Alabama on Saturday, March 24th in Alexander City.